From its independence in 1810 until the economic crisis of 2001, Argentina has been seen, in the national and international collective imaginary, as a modern country with a powerful economic system, a massive European immigrant population, an especially strong middle class, and an almost nonexistent indigenous culture. In some ways, the early history of Argentina strongly resembles that of the United States, with its march to the prairies and frontier ideology, the image of the cowboy as a national symbol (equivalent to the Argentine gaucho), the importance of the immigrant population, and the advanced and liberal ideas of the founding fathers. But did Argentine history truly follow a linear path toward modernization? How did photography help shape or deconstruct notions associated with Argentina? Photography in Argentina examines the complexities of this country’s history, stressing the heterogeneity of its realities, and especially the power of constructed pho-tographic images—that is, the practice of altering reality for artistic expression, an important vein in Argentine photography. 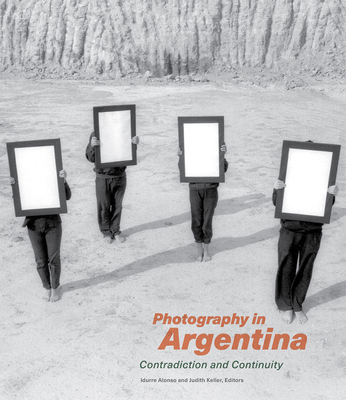 Influential specialists from Argentina have contributed essays on various topics, such as the shaping of national myths, the adaptation of gesture as related to the “disappeared” during the dictatorship period, the role of contemporary photography in the context of recent sociopolitical events, and the reinterpreting of traditional notions of documentary photography in Argentina and the rest of Latin America. Idurre Alonso is associate curator of Latin American Collections at the Getty Research Institute. Judith Keller is senior curator in the Department of Photographs at the J. Paul Getty Museum. Among her many publications are Walker Evans Cuba (Getty Publications, 2001), Graciela Iturbide: Juchitán (Getty Publications, 2007), and Japan’s Modern Divide: The Photographs of Hiroshi Hamaya and Kansuke Yamamoto (Getty Publications, 2013).